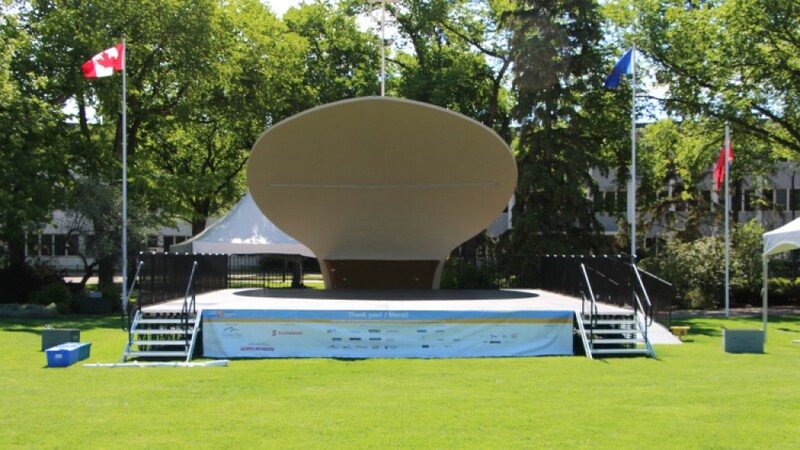 Organizations can request a booking for an event space on the Alberta Legislature Grounds, for non-commercial events. The historic Alberta Legislature Grounds are maintained and preserved for Albertans and other visitors. Organizations registered as charitable or non-profit in the province of Alberta can apply to use the grounds for non-commercial events. This includes, but is not limited to, all special events, functions or activities that would take place on any part of or travel through the grounds. Applicants must make sure their events follow the Guidelines for use of the Alberta Legislature Grounds (PDF, 364 KB). Please contact us if you have any questions. Print out the Application Form, fill it out by hand, then scan it. Make sure to complete the form – incomplete applications will be returned. Applications must be received at least 8 weeks before the proposed event, to give us time to review and process them. Once we receive your application, you will be contacted to set up a meeting. Your event organizer will meet with Legislature Grounds booking staff to review the application details, and hear their approval decision. Approved event bookings are not transferrable to other organizations.